Every year the San Francisco Silent Film Festival Award is given to an individual or institution to honor their commitment to the preservation and presentation of silent cinema. 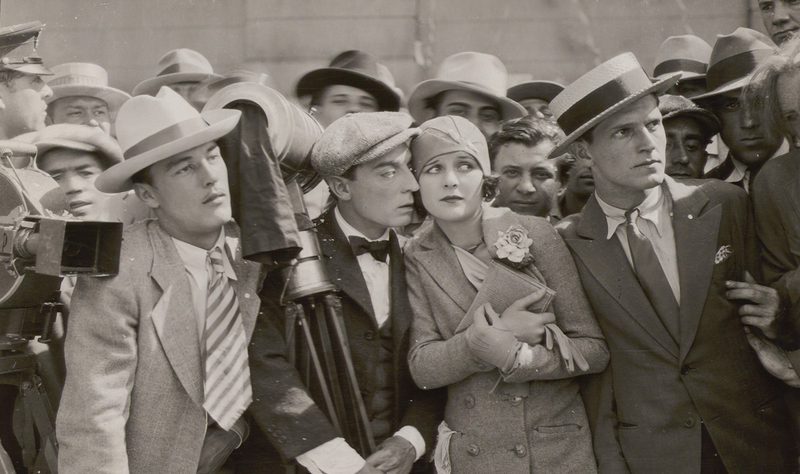 The 2019 SFSFF Award will be presented to the Cineteca di Bologna —one of the world’s premier film archives and a center for film research, preservation, and restoration—on Opening Night, Wednesday, May 1, with the screening of the new restoration of Buster Keaton’s 1928 The Cameraman. This exquisite 4k digital restoration was undertaken by The Criterion Collection, Warner Bros., and Fondazione Cineteca di Bologna, and will have its world premiere at SFSFF. The Italian archive has taken the lead in restoring Keaton’s entire body of work and Gian Luca Farinelli, director of the Fondazione Cineteca di Bologna, will accept the award on stage. Composer Timothy Brock will conduct his original score, which will be performed by an orchestra composed of students of the San Francisco Conservatory of Music. Brock is a specialist in orchestral music from the 1920s and ’30s and as a conductor and composer has been responsible for the restoration of landmark silent-era scores, including many for the Chaplin estate. He composed his original Cameraman score for 17 players. Other titles from Cineteca di Bologna in SFSFF 2019 include Rapsodia satanica (1917) which will be presented with a selection of Kinemacolor shorts from the archive’s collection, and the oldest Italian feature ever—L’inferno (1911) based on Dante’s 14th-century epic poem. The intertitles—translated into English using poet Robert Pinsky’s brilliant Dante translation as a guide—will be read by actor Paul McGann. Director Farinelli will also give an illustrated lecture, Grand Tour Italiano, 1905–1914, at the Berkeley Art Museum/Pacific Film Archive on Wednesday afternoon, May 1, featuring fascinating early 20th-century Italian travelogues from the Cineteca’s collection.